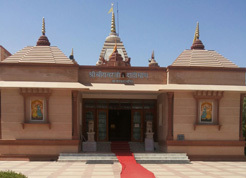 We have built a Dharamshala inside this prestigious facility. The emphasis is animal welfare. 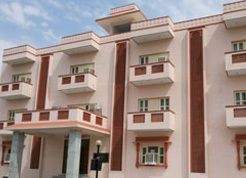 Purpose built, it houses several rooms that provide relief to the travellers. 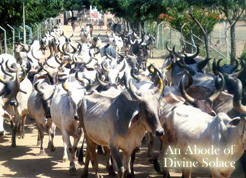 This Trust actively rescues abandoned and old age cows that may be destined for slaughter so that they may lead the remaining years of their short life with dignity and non violence. 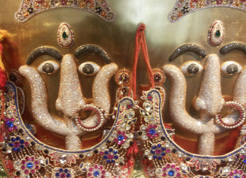 We have built within this beautiful temple complex a Dharamshala that provides rest and relief to the tired pilgrims who visit here annually in thousands to seek blessings and contemplation of their spirituality. 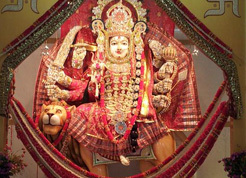 Located in the state of Maharastra, Narayani Dham is a solace to the community providing much needed peace of mind. 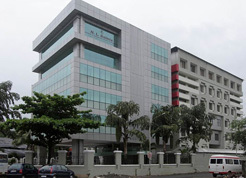 Satyanarayan Goenka Bhavan has been named after the beloved father of Ramesh Goenka. 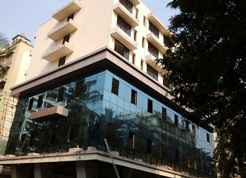 It has been rebuilt with the best modern amenities. Late Shri Satyanarayanji Goenka came from Ramgarh in Rajasthan to do business in Mumbai. He started a flourishing diamond business and reached great heights. He was held in high esteem in the community. He believed in humility & charity for the welfare of the Society. As a tribute to the memory of this noble being this building sustains his long term vision to assist the community for all their social needs. 21% of communicable diseases in India are related to unsafe water.103.8 million people lack access to safe drinking water. 67% of Indian households do not treat their drinking water. With these statistics, it is evident that clean water is a basic need for humanity. Unfortunately, in major parts of the world, there is still a dire need for human beings to be able to receive clean water. 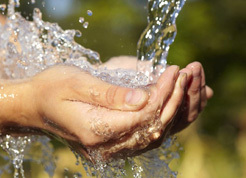 In rural areas, ground water is usually contaminated with heavy metals. Our project is based in schools so that it can directly benefit children to be able to drink pure water. We have partnered with a leading company that has created a breakthrough in water technology. 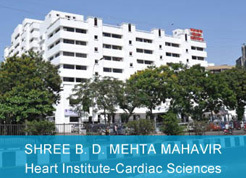 We have supported this institution that offers cardiac care to the much needed populace of Surat. 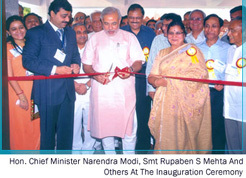 Built as one of the leading medical organizations in the state of Gujarat, it was inaugurated by the current Prime Minister of India, Mr Narendra Modi.